Call our National Sales Team for more information! so the coal burns easily. all models to help get rid of the clinkers. 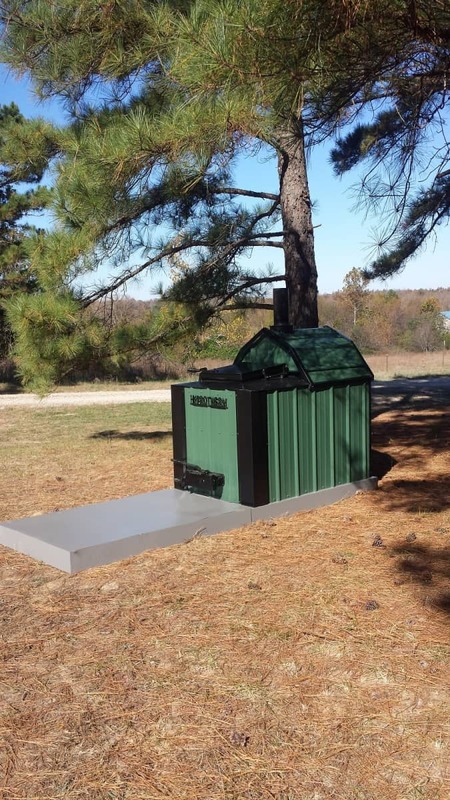 If you are interested in turning the forced air furnace into one that burns coal, you can simply add the shaker grate system that is demonstrated in the video below! Easy installation! 12 inch galvanized pipe wrapped with silverback insulation. 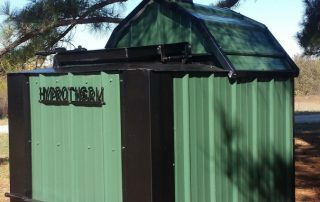 It can be installed above ground or buried inside of a bigger diameter pipe and simply build a protection roof over the exposed galvanized pipe to prevent the exposed pipe from deteriorating! and a REMOVABLE ash pan! Rated to Heat up to 3500 sq. ft. Concrete pad is recommended but not necessary! Rated to Heat up to 5500 sq. ft.
it’s 50% bigger and is only $700 more! Rated to Heat up to 6875 sq. ft. Rated to Heat up to 8500+ sq. ft. 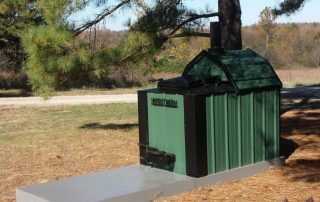 The ThermoWind 4000 is designed to heat large buildings. 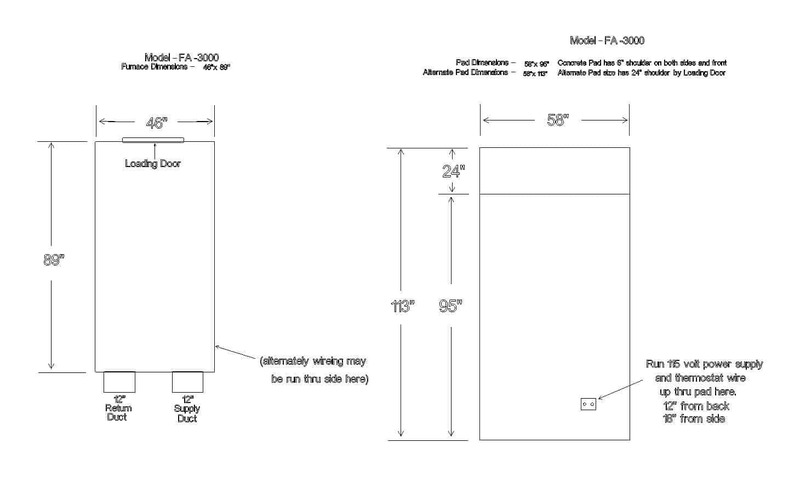 It will have two full-size furnace fans on it (2000 CFM each), to better heat a large building – with a total of 4 ducts ( 2 supply and 2 return). 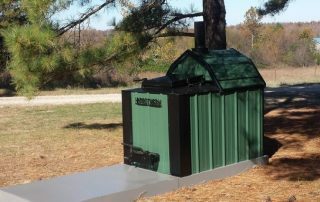 It has a 68″ firebox that is 3 feet wide and has two firebox doors; one on each end, to better and easier load the furnace. 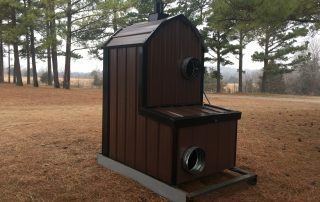 It has two forced air draft fans with automatic dampers on them. 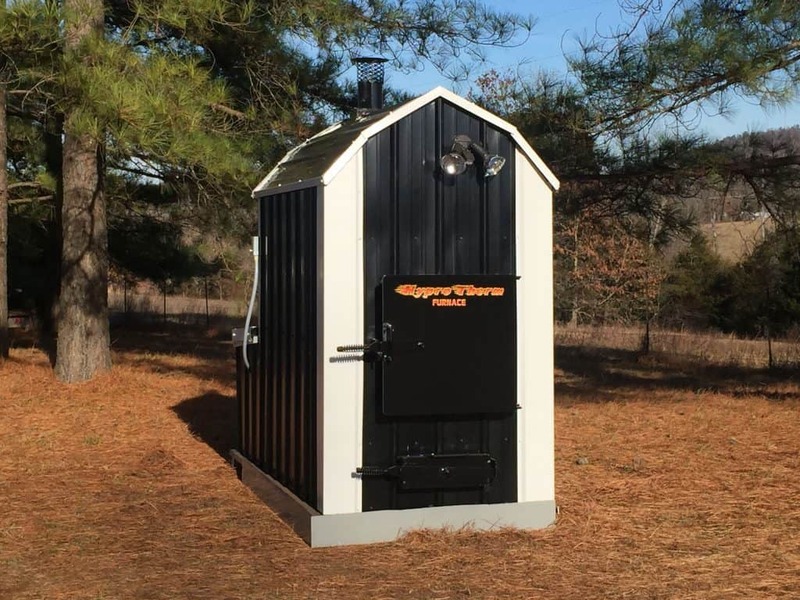 Hypro Therm now offers Top Loading Forced Air Furnaces! 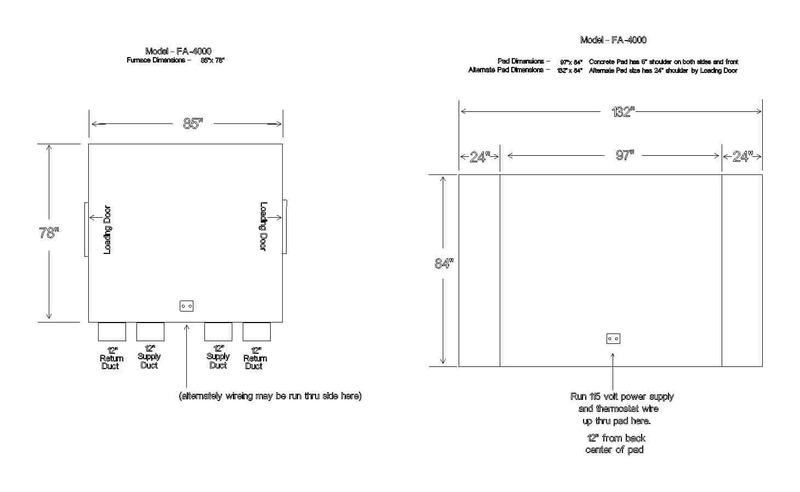 Forced air fan for home and forced air fan for furnace with solenoid activated damper. 1500 CFM blower on TW1000 above. You get a 2000 CFM blower on the ThermoWind 2000, 3000 and two of them on the TW4000. The fans and thermostat included, have a one-year warranty. You get a solenoid activated damper too! 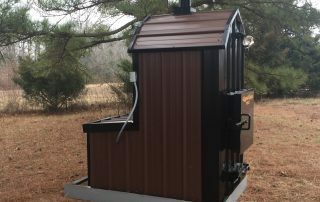 This automatic damper, which is now standard equipment on the water models, will save you a lot of wood! We had customers asking us to put this on our wood furnaces, after trying the exact same dampers that were homemade. They had such good experiences that they asked us to start offering this as an option and now we have made it standard on every single model that we make. Air would no longer bleed into the firebox when the fan turns off and this is so much better than a manual damper that you have to adjust! All parts are available everywhere. There are NO proprietary parts or circuit boards! 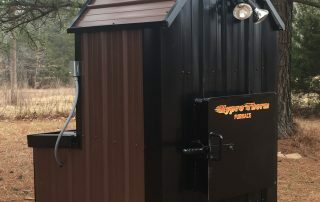 ONLY in the event of a power failure, if you want heat, this furnace requires a 2000 Watt Generator for the Thermowind 1000 model and a standard portable 4000 watt generator for the 2000 and 3000 models because of the startup power that the motors take. You MAY need an heating and air guy to hook up the duct work, but all you really need is an adapter from a round 12″ pipe to your rectangle (usually) pipe. Everything is very simple and easy to do. There is a comprehensive manual, with lots of pictures and diagrams, that will help you every step of the way. You can also call our National Sales Team for assistance. 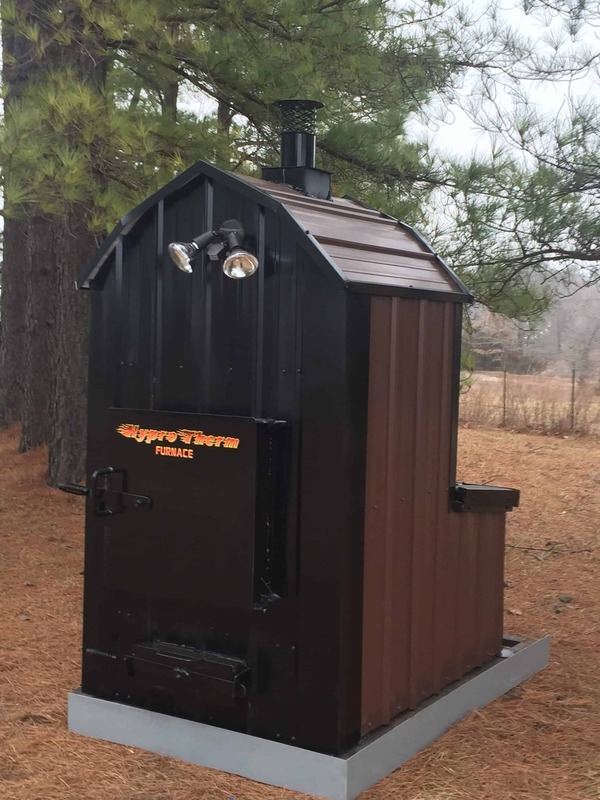 Hypro Therm has done it again! 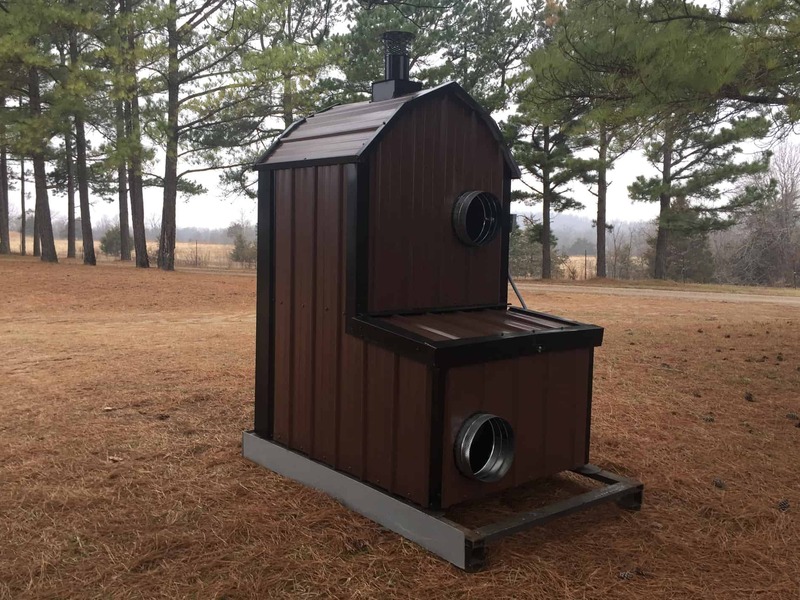 Backed by their years of experience, they have developed an OUTDOOR WOOD FURNACE FORCED AIR that doesn’t need water! 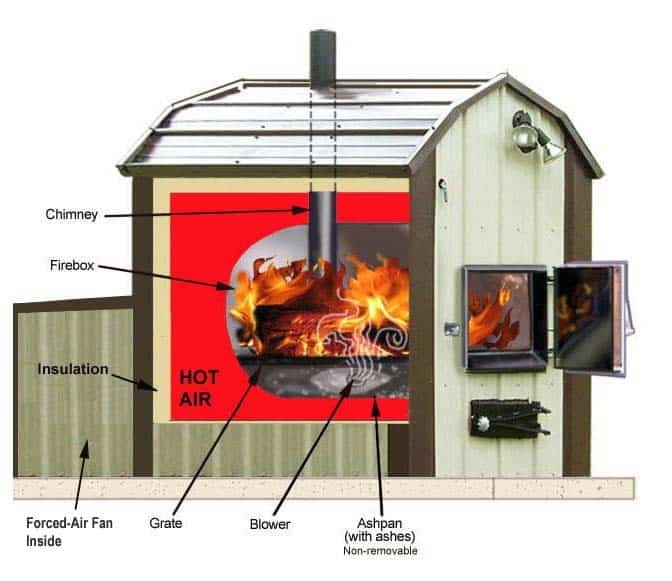 – IDEAL for homes or shops without an existing heating system! No ductwork? No radiators? No boiler? No problem!! 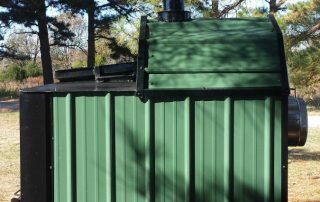 – Excellent for those people with cabins or homes that are left unattended. – Use out built-in furnace fan instead of an air handler or utilize your current furnace! 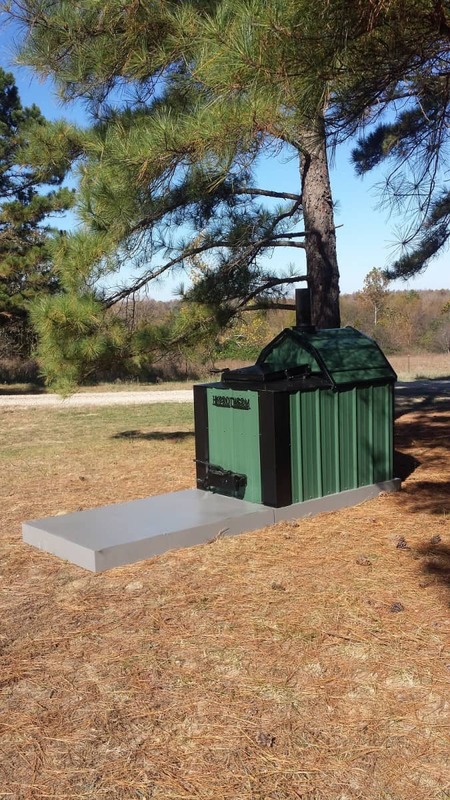 – Before spending thousands on a furnace for your garage or ship plus many more thousands for fuel – choose a ThermoWind for virtually FREE HEAT! 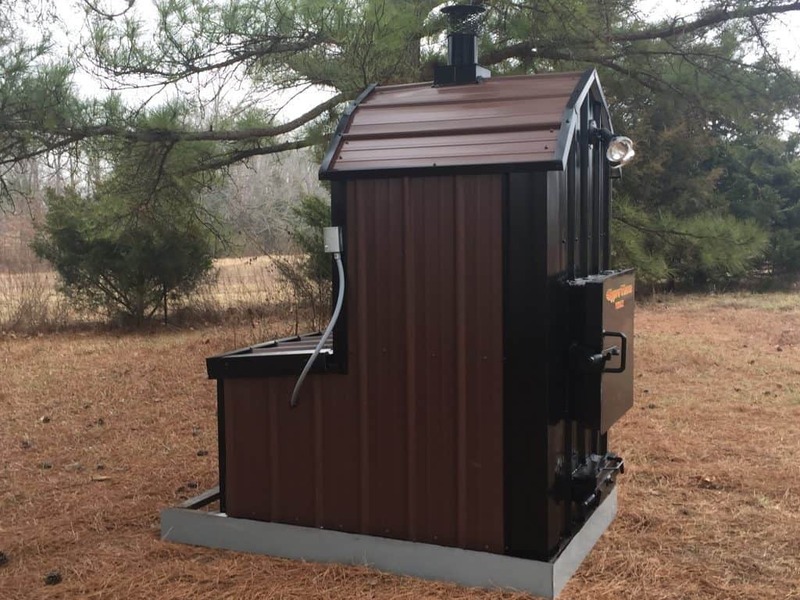 – Eliminate the threat of fire by having the furnace away from the house, just like with our outdoor wood fired WATER furnace (often called a “boiler”). – No carrying wood into the house, along with the bugs, bark and trash. – NO SMOKE in the house either! 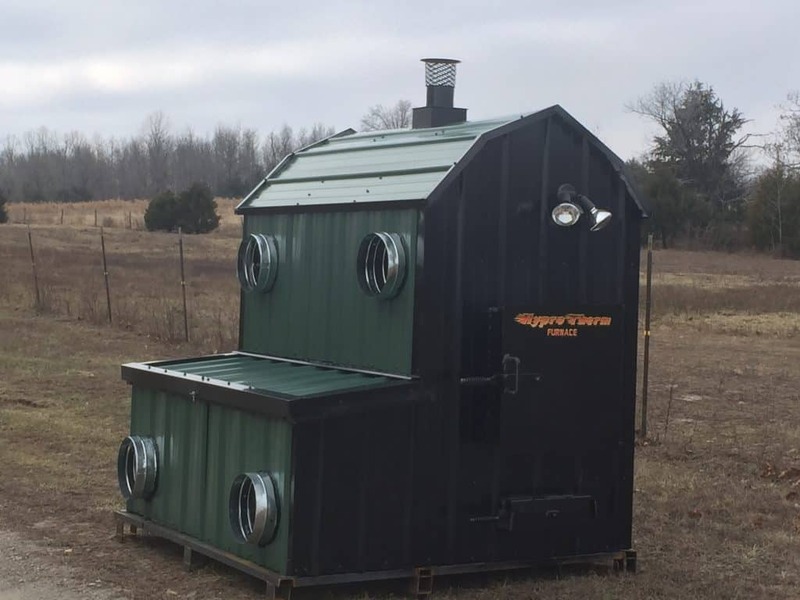 Only if you have a outside wood forced air furnace inside your can you use a ThermoWind because ductwork is needed, so an electric, gas, oil, propane furnace, etc, and heat pump or geothermal system can be used. 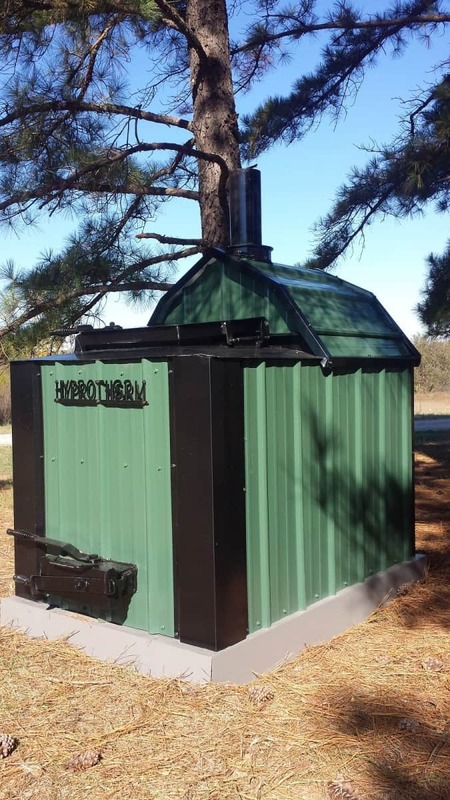 No boilers or radiant floor heating systems can be hooked up. 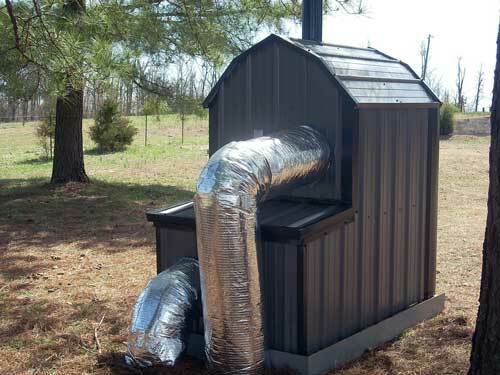 However, you can add ductwork to any building (or not even use any ductwork) to heat a building. In case of a power failure, you can still have a nice warn house, when everyone else is cold!! 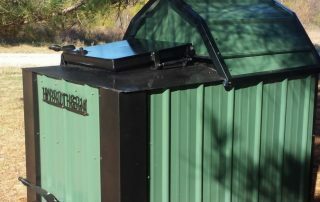 or a standard portable 4000 watt generator for the ThermoWind 2000 model, (because of the startup power that the motors take), with plenty of power left over for lights, etc. 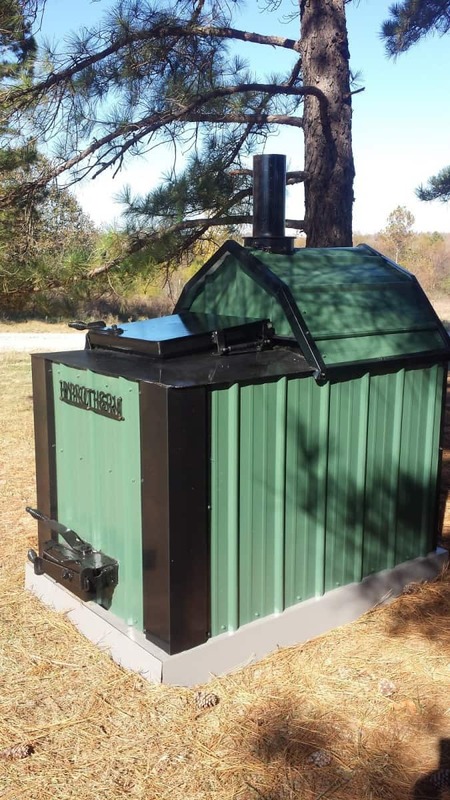 This furnace can go outside and does not have to be bolted to the house or go in the basement like every other model out there! 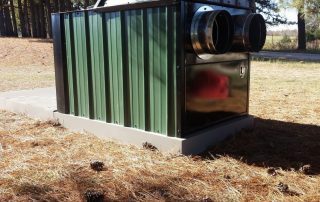 Heat is carried to your home through insulated 12″ pipes, buried underground or you can use regular and less expensive regular ductwork which you can insulate yourself. 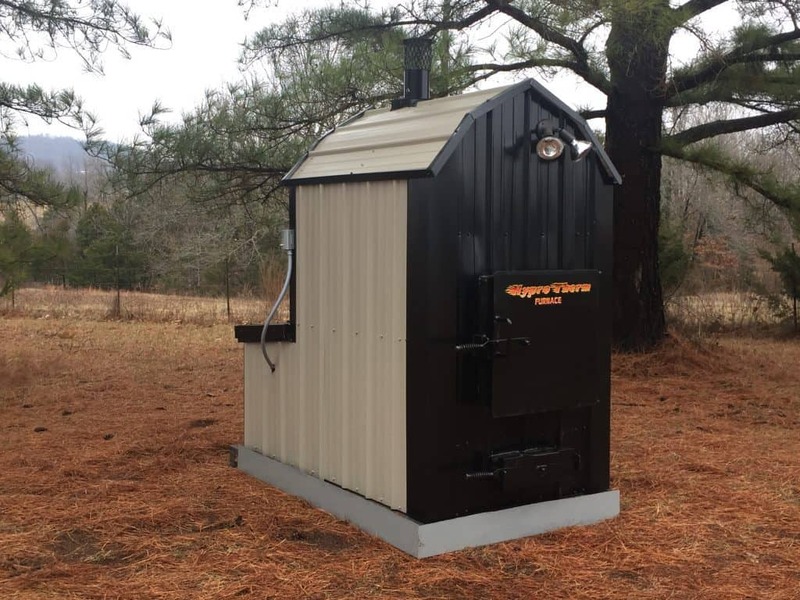 You only need ductwork, thermostat and wire and a power wire to install. 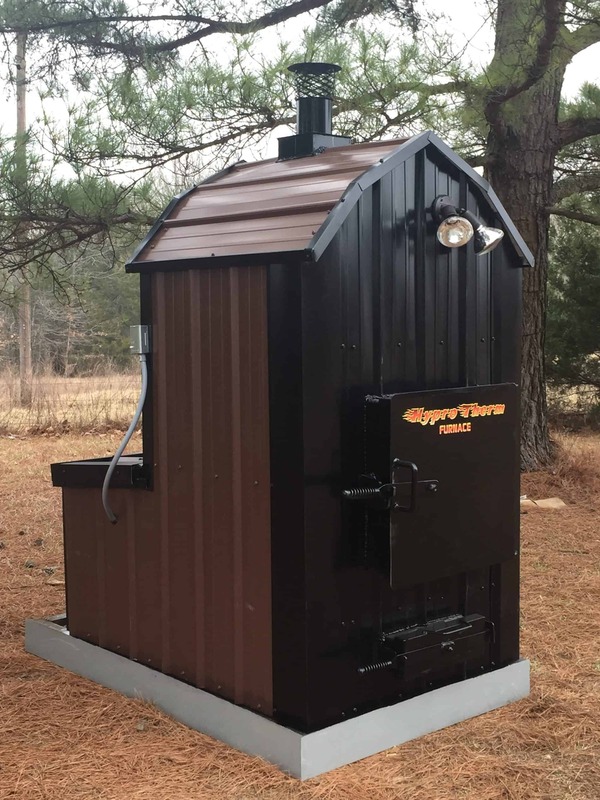 No more worries about frozen water! NO CHEMICALS or annual water tests! No pumps! 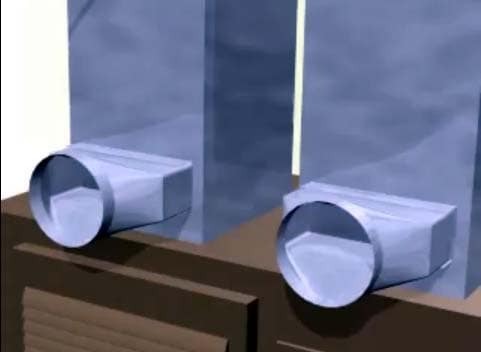 Insulated Underground Pipe – Duct! 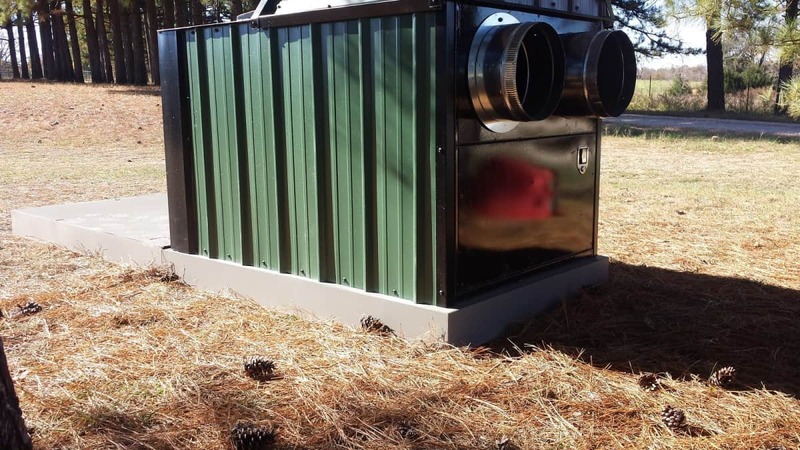 These air pipes/ducts are only 12″ in diameter so a standard backhoe with a 24″ bucket can easily dig a trench for the pipes to lay side-by-side. 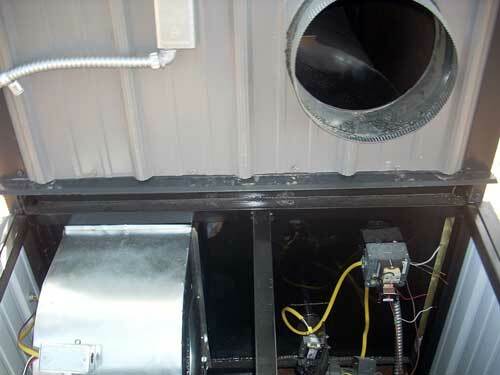 A 12″ round duct is equivalent to a duct that is 8″ X 15″ or 10″ X 12″ and you will get the same air flow of 2000 CFM. 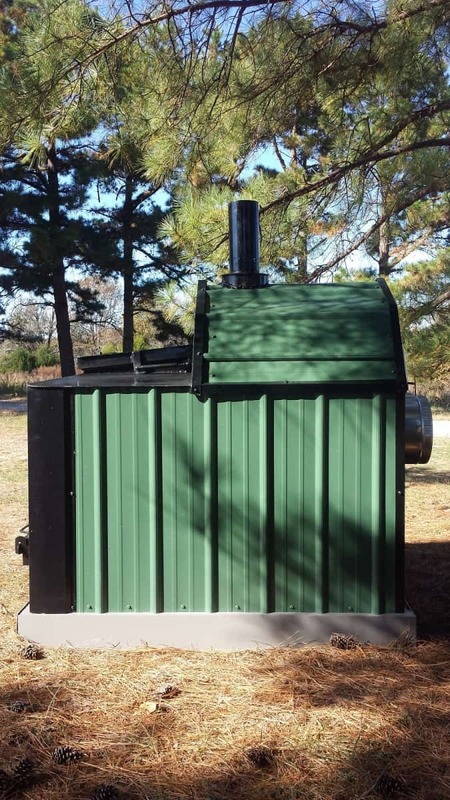 An 8″ X 12″ or a 10″ X 10″ will give max 1500 CFM. We are the only manufacturer that is doing this! Air & Water Tight Foamed Walls on underground pipe. 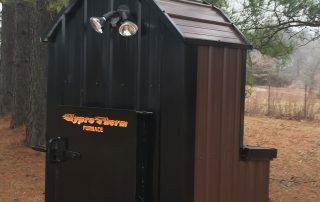 You only need ductwork, thermostat and thermostat wire and a power wire.